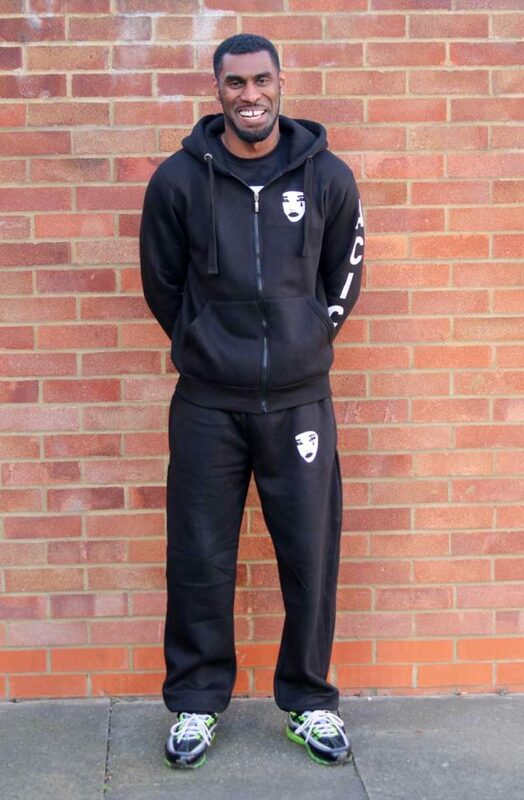 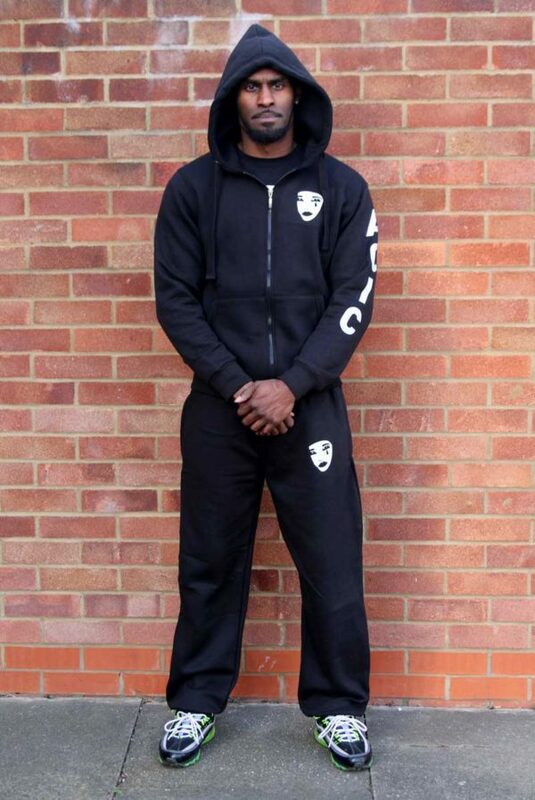 2 piece tracksuit, with a zipped hoody jacket, and cuffed jogging bottoms. 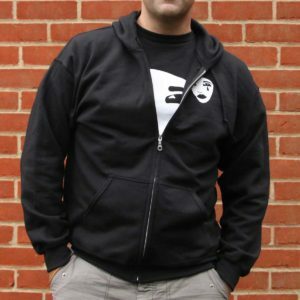 The jacket has the mask design on the upper left hand side, and ACIC along the Left hand sleeve. 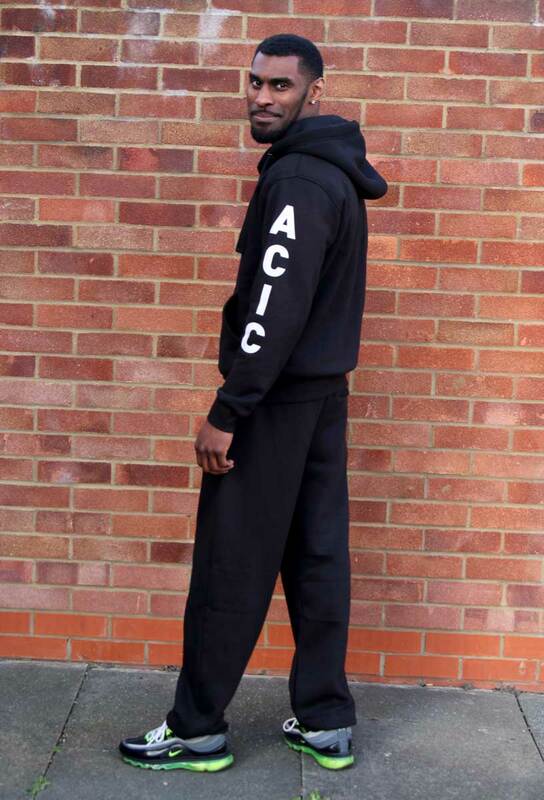 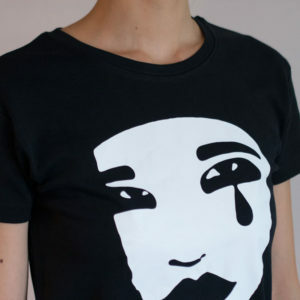 The jogging bottoms are cuffed and have the mask design on the left leg, near the pocket.